Is your Miele Washer displaying an error code? 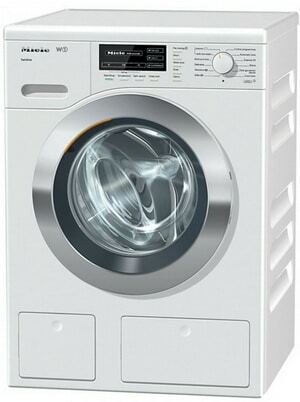 Miele washing machines have built in diagnostic systems. 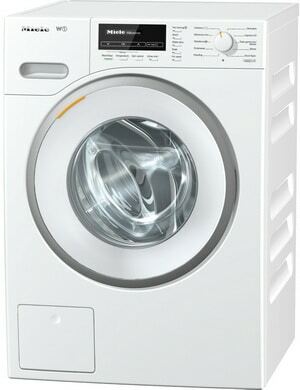 If your washer finds, sees, or detects a fault or error in the system, it will show an error or fault code. The error code will display where the usual numbers are on the display screen or flash the LED lights. When an error code is displayed, your washer is telling you a specific fault. If the error or fault is not fixable by you, it will require a repair technician. There are many different model numbers of Miele Washers with digital displays so if you see an error code write down what is flashing or displaying. Don’t pull the power from the washer if it shows an error code. If you pull the power plug it will erase the fault code. Shown On Miele Washer Display: An exclamation mark ! and “Water inlet fault” is indicated in the display. Possible Issue Or Problem: The water inlet filter is clogged. 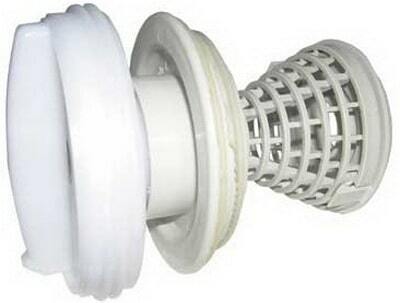 What To Check – How To Repair: Clean the water intake filter using the operating instructions. Possible Issue Or Problem: Water pressure is too low. What To Check – How To Repair: Check water pressure to washer and home. Possible Issue Or Problem: Stopcock is not open. -Stop the wash program using the operating instructions. -Select the wash program and restart it. Possible Issue Or Problem: The inlet hose is kinked or bent. What To Check – How To Repair: Check the inlet hose for kinks or bends. Shown On Miele Washer Display: An exclamation mark ! and “Drain fault” is indicated in the display. Possible Issue Or Problem: The drain hose is too high. What To Check – How To Repair: Make sure that the drain height is in the correct position. Possible Issue Or Problem: The suds – drain fluff filter – drain pump are blocked. What To Check – How To Repair: Clean the suds – drain fluff filter – drain pump as shown in the operating manual. Shown On Miele Washer Display: An exclamation mark ! and “Technical fault” flashes in the display. Possible Issue Or Problem: There is a technical fault. What To Check – How To Repair: Remove and replace power, switch on and restart the program. Shown On Miele Washer Display: An exclamation mark ! and “WaterProof fault” flashes in the display. Possible Issue Or Problem: WaterProof system activated. -Turn off the water supply to the washing machine at the stopcock. -To remove contents of washer, refer to the “Opening the drum door in the event of a blocked drain outlet and/or power failure” in the manual. Shown On Miele Washer Display: Display contrast not set to current lighting conditions. What To Check – How To Repair: Reduce contrast. Refer to manual. Shown On Miele Washer Display: The display switches off automatically in order to conserve energy = stand-by mode. What To Check – How To Repair: Press any button to stop stand-by mode. Refer to Settings – Programmable Options, Stand-by mode, in the manual. Possible Issue Or Problem: Incorrect language is set. What To Check – How To Repair: The language can be modified as a programmable function via the Settings menu. Possible Issue Or Problem: The PIN function is active. What To Check – How To Repair: Enter the correct PIN code and confirm. Shown On Miele Washer Display: The display shows 25% load when the washing machine is empty. What To Check – How To Repair: This is the normal display when the washer is draining. Shown On Miele Washer Display: The error message “F41” appears in the display with a program abort. Possible Issue Or Problem: Fault in electronic controls. What To Check – How To Repair: Turn the washer off for 15 seconds, then switch back on and try another wash cycle. Shown On Miele Washer Display: The washing machine sounds an beep signal and “Call Service” is shown. Possible Issue Or Problem: The drum lamp is not properly fitted. -Turn the appliance off and remove it from the electrical supply. -Remove the yellow lever from behind the detergent drawer panel. -Insert the lever into the slot in the drum lighting unit. -Turn clockwise until you feel some resistance. Shown On Miele Washer Display: Water inlet fault appears in display when machine is first used and machine will not spin. -For safety, spinning is not possible until the machine has been prepared for using for the first time. 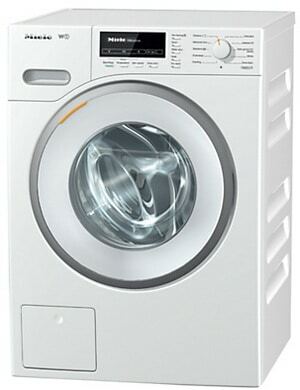 -The spin lock, programmed as standard, makes sure that spinning cannot be occur until a water intake has been connected. 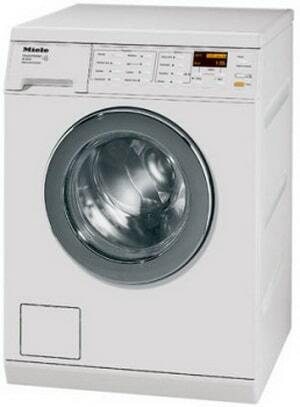 -To start the spin function, a wash program without laundry & without detergent should be ran. Shown On Miele Washer Display: The display remains blank and the “Start/Stop” button does not illuminate. Possible Issue Or Problem: There is no power. -The washer plug is not connected. -A fuse or circuit breaker has tripped. -Make sure the door is closed. Shown On Miele Washer Display: The “Start” LED does not illuminate. Possible Issue Or Problem: The door was not correctly closed. 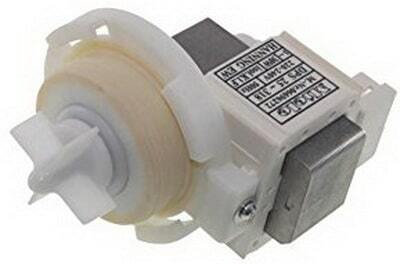 What To Check – How To Repair: Press against the lock side of the drum door, then press the “Door button”. Possible Issue Or Problem: The drain hose has been fitted too high. What To Check – How To Repair: Make sure that the maximum drain height of 3ft is not exceeded. Possible Issue Or Problem: The suds – drain fluff filter – drain pump are clogged. What To Check – How To Repair: Clean the suds – drain fluff filter – drain pump as described in the manual. Shown On Miele Washer Display: “Soak/Pre-wash” – “Main wash” – “Rinse” or “Rinse hold” indicator is Flashing. Possible Issue Or Problem: A technical fault. -Turn the program selector to “Finish”. -Turn the washing machine off. -Turn the washing machine on again. Shown On Miele Washer Display: Flashing or solid “Inlet/Drain” indicator. Possible Issue Or Problem: Water inlet filter clogged. 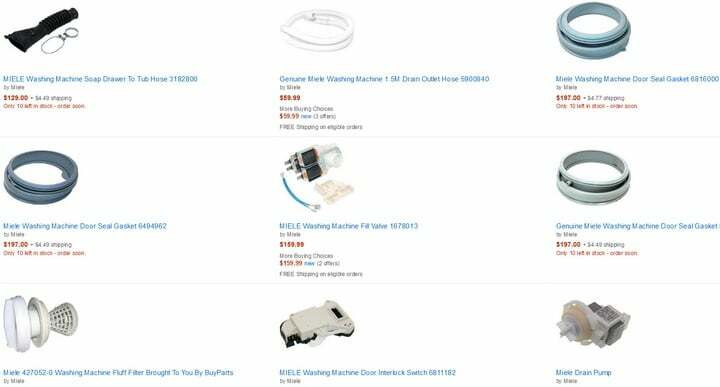 What To Check – How To Repair: Clean water inlet filter as described in manual. Possible Issue Or Problem: Inlet hose is kinked. -Make sure there are are no kinks/loops in the inlet hose. -In the event of a bad inlet hose, replace it. What To Check – How To Repair: Check water supply pressure to washer and home. Possible Issue Or Problem: The end of the drain hose is too high. What To Check – How To Repair: Ensure that the maximum height of 3 ft is not exceeded. Possible Issue Or Problem: Drain filter and or drain pump clogged. What To Check – How To Repair: Clean the drain filter and the drain pump as per manual. Possible Issue Or Problem: Water protection system activated. -Turn off water supply to washing machine at the stopcock. -Disconnect the washer from the power. -To remove the laundry, refer to the “Opening the drum door in the event of a blocked drain outlet and/or power failure” in the manual. Shown On Miele Washer Display: The display is blank and the “Start/Stop” button does not illuminate. 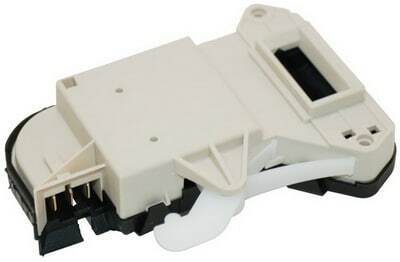 -The main washer plug is not connected. -The fuse or circuit breaker may have tripped. -The washer door is not closed. Shown On Miele Washer Display: Flashing “Excess detergent” or “Start” indicator. Possible Issue Or Problem: Wrong detergent dispensing setting has been selected. What To Check – How To Repair: Check detergent package and follow instructions. 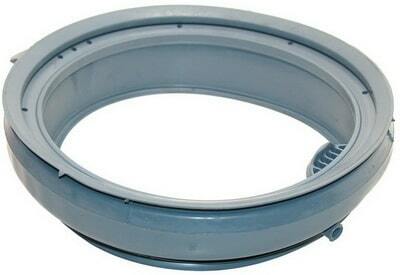 Possible Issue Or Problem: The lock on inner lid of top load washer is not engaged. What To Check – How To Repair: Check that the lid lock has engaged. Shown On Miele Washer Display: The “Drain” indicator light is flashing. What To Check – How To Repair: Ensure that the maximum head height of 3 ft is not exceeded. Possible Issue Or Problem: Drain filter and or drain pump blocked. 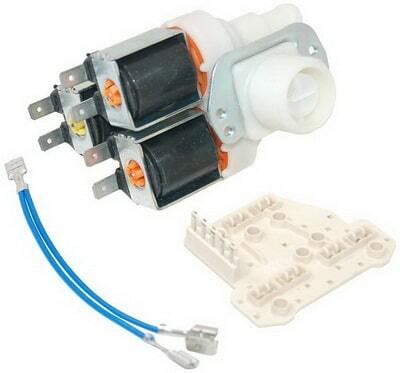 What To Check – How To Repair: Clean the drain filter and the drain pump per operating manual. Shown On Miele Washer Display: The “Inlet” indicator light is flashing. -Stop the wash program in accordance with the manual. -Select a wash program and restart. What To Check – How To Repair: Check the inlet hose for bends or kinked areas. What To Check – How To Repair: Clean the water intake filter in accordance with the manual. Need assistance with your Miele washing machine? 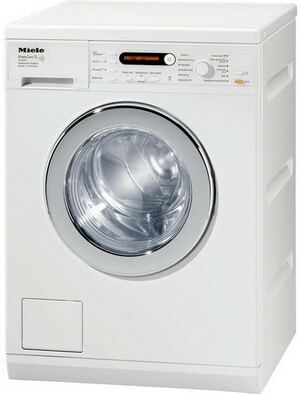 Please ask your question below and include the model number of the Miele washer you are asking questions about. Thank you! Washing machine, Miele W3740, Honeycomb care, about 13 years old, has a habit of conking out mid to late cycle (it is becoming a weekly event). The display reads ‘Technical fault F102’ — as descriptions go, it is as much use as a chocolate fireguard. I went on the web, came across your website, chose a set of directions. My machine is now working again. 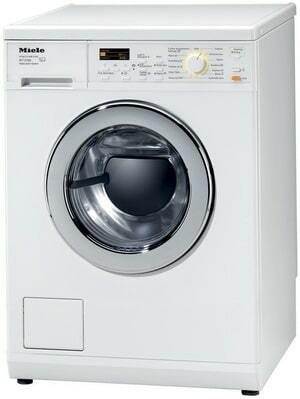 HI, I have a Miele Prestige Plus 6 washing machine and it stops and displays ‘- – -‘ and ‘Rinses’ flashes continuously. Can any one help me with this? 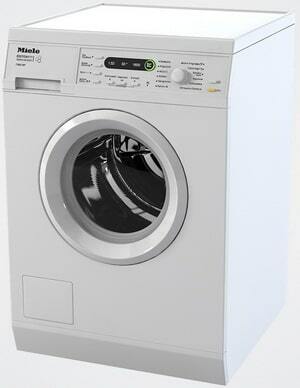 miele W1714 waterproof message plus blinking lights & alarm noise. I have changed leaky sump hose & door seal; also float switch in base. Same message still comes up even when switch (still connected) is removed from base. I cannot get machine to do anything! Miele 3037 washing machine flashing “waterproof system activated”. Can you tell me what to do? Service team told me to turn off the machine at the wall socket, open the detergent tray, remove the drain bung and open the drum door using the emergency latch located near the drain bung. Leave for 24 hours to dry any water inside the bottom of the machine. Runs long enough to fill initially then stops with technical fault call service displayed and alarm buzzing. Have changed pump. Cleared mould build up and ensured no dispenser or intrrnal hose blockage. Running out of ideas! I wonder if you could help me with a Miele washer machine W3038 . When we opened the washing machine on the first day we moved in, we noticed a very strong, unpleasant odor. Unfortunately after cleaning the inside and leaving the door open to air things out, it still smells very strongly. If so, how were you able to eliminate the smell? We’ve also gotten a water inlet message, but the manual didn’t provide much guidance. My concern is that there might be standing water, which is the cause of the foul smell. 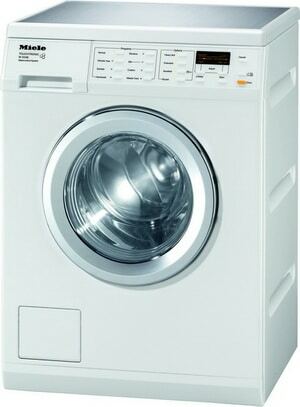 Miele WT2780 Washer-dryer. Condensation has got into the LED panel and it is now impossible to read it. Problem happened after using dryer at a high temperature. The washer still works, but I programme it by guesswork! Any suggestions? There is a seal around the LED panel so no condensation gets in. The seal may be damaged or there was so much condensation that it slowly seeped in and now it is blocking your view. You will need to take it apart and see if the small seal inside is ripped or damaged, if so replace it. Wipe out all the condensation when you do and reseal it so condensation does not get back into the LED display.